Noobie here, and I'm having a headache. I picked up a virus and went through my programmes where I found an HD Codec programme. I googled it and found it was a malware programme disguised as a file needed to play video files. I deleted it, but the pop-up/extra windows kept opening along with something called mobogenie in the documents file, also a cloud something or other file. I deleted the mobogenie file and cloud file but the pop-ups and windows keep coming. Would be very grateful for some help before my laptop has an accident! I have an acer P253-E, running windows 8. I've not run the starter tools yet as these are listed for windows 7. Please advise what I do for windows 8. Edited by robenergy, 11 January 2014 - 04:51 AM. So far I have run the Security Check programme (as Administrator) - log below. I tried to run aswMBR (as administrator). It asked for the Avast virus definitions, which I OK'd. 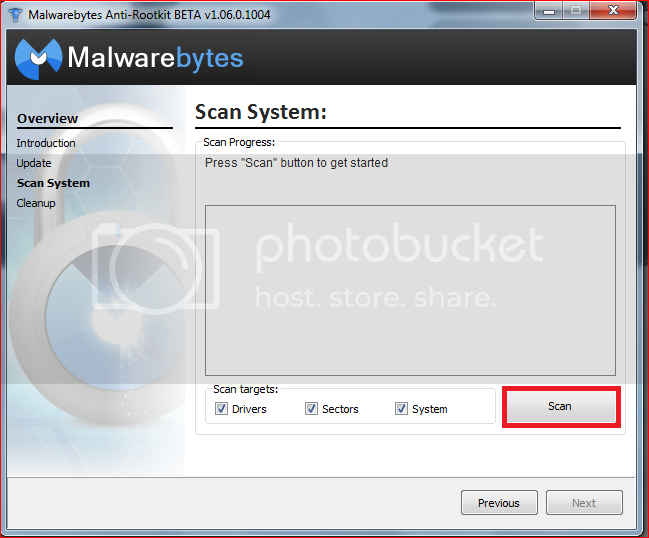 Clicked "Scan" but windows reported the programme stopped. It won't run properly and gives me an Initialise error 1. Log file zipped and attached. Would you like me to carry on with the other diagnostic programmes or would you rather get aswMBR reporting properly first? Just a thought, I have a copy of windows 7, would it be easier to do a full re-install with this? Would this deal with the problem of the malware?? I don't mind this option as Windows 8 is awful to use!! First off I would like to sincerly apologize for not getting back to you sooner. Normally when I reply to a topic the forum automatically subscribes you to that topic, it did not happen with your thread. I don't have much experience with installing Windows 7 over a Windows 8 installation. If that is what you wanted to do I would probably have to refer you over to our Tech Team. 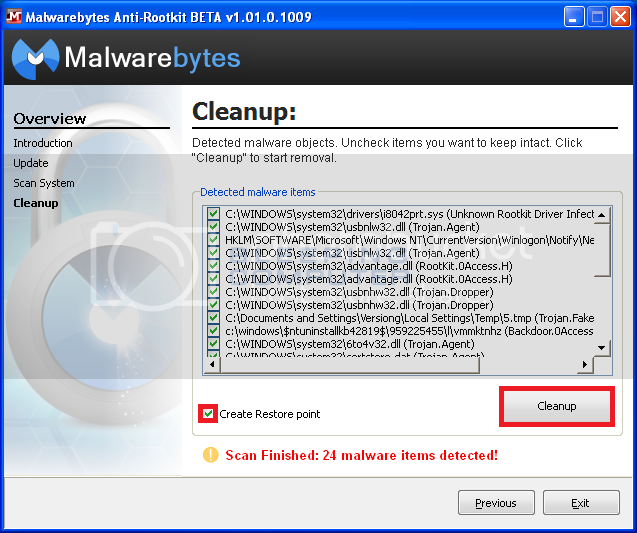 Yes, any time you reinstall the operating system it will remove the malware. If you would like to continue, please run this in place of aswMBR. Then continue with my original set of scans. 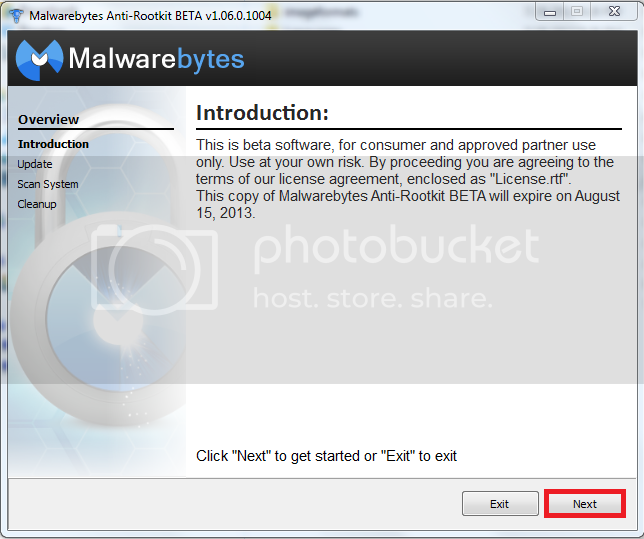 Once the file has been downloaded, right click on the downloaded file and select the Extract all menu option. Follow the instructions to extract the ZIP file to a folder called mbar-versionnumber on your desktop. Click on the Update button so Malwarebytes Anti-Rootkit can download the latest definition updates. When the update has finished, click on the Next button. Next click on the Cleanup button. 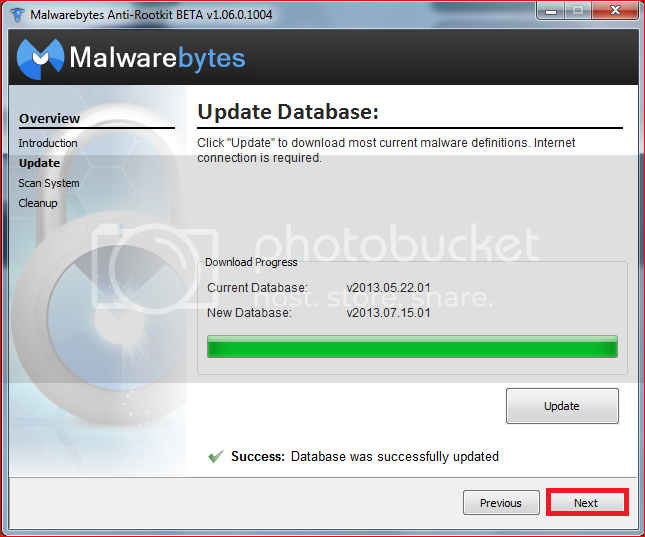 Malwarebytes Anti-Rootkit will then prompt you to reboot your computer. Click on Yes button to restart your computer. There will now be two log files created in the mbar folder called system-log.txt and one that starts with mbar-log. The mbar-log file will always start with mbar-log, but the rest will be named using a timestamp indicating the time it was run. For example, mbar-log-2012-11-12 (19-13-32).txt corresponds to mbar-log-year-month-day (hour-minute-second).txt. The system-log.txt contains information about each time you have run MBAR and contains diagnostic information from the program.